CHINA – Between April and June 2007, more than 100 foreign Christians accused of being involved in illegal religious activities have been expelled from China. It is believed the campaign called Typhoon No. 5, is part of the Chinese government’s efforts to prevent foreign Christians from engaging in mission activities before the Beijing Olympics in 2008. Most of the expelled believers are from the United States, South Korea, Singapore, Canada, Australia and Israel. They were expelled when they were working in or visiting Xinjiang, Beijing, Tibet and Shandong. A Christian who has worked in Xinjiang for 10 years told CAA that more than 60 foreign religious workers, who have served the local people for more than 15 years, were expelled from Xinjiang alone. “In spite of the public face of religious freedom the Chinese government tries to convey through its state run system, the arrests of Chinese Christians, and now the expulsion of active Christian visitors is a demonstration of their true nature,” said Tom White, Executive Director of The Voice of the Martyrs. 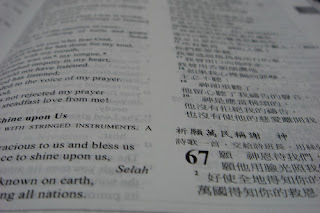 Pray Christians in China continue to stand for Christ despite persecution. Pray those who persecute Christians will repent and accept Christ.